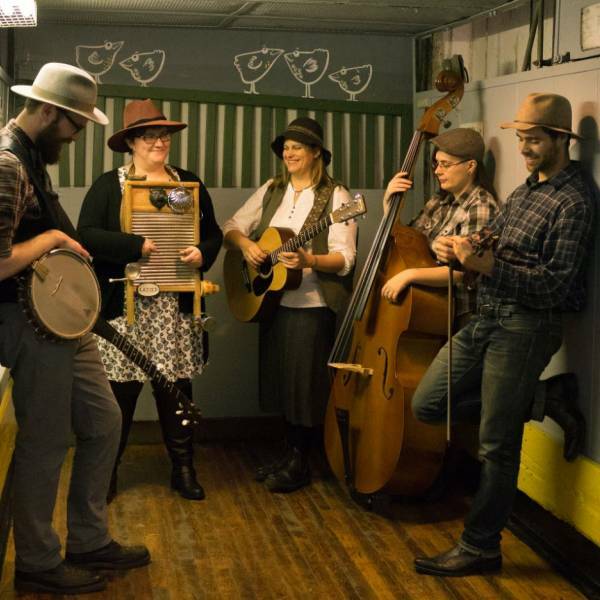 Onion Honey makes folk music, sharp and sweet and mixed in with banjo and mandolin, washboard and double bass, fiddle and warm five-part harmonies. It’s a recipe for a great time and good for what ails – home-cooked comfort food for the ears. Dave Pike, Esther Wheaton, Keenan Reimer-Watts, Leanne Swantko and Kayleigh LeBlanc play new-time traditionals, old-time originals and all-time favourites: mountain music filtered through the Grand River Valley.